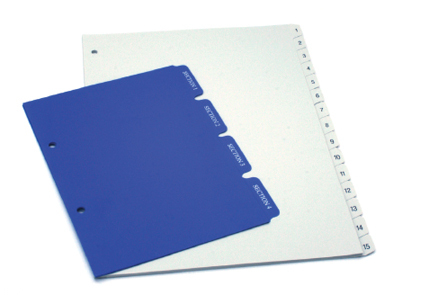 Add value to your binder with hard wearing, long lasting PVC and PP subject divider and index sets. Can be printed on tab and body, and punched to fit binder mechanism. Variety of colours, sizes and styles available.